Click here to listen to Karen Krebser give tips and techniques for divining with the ancestors. Samhain, a pre-Christian Gaelic festival observed between the sunsets of October 31st and November 1st, is viewed as a liminal time. It marks the end of the harvest seasons while taking into account the start of winter. This in between state is seen as a threshold period where the cosmic veil between the living and dead is at its thinnest, thus allowing sightings and communication with the departed more available. Beginning October 25th, diviner Karen Krebser and I will launch the Samhain Series, a set of casting sheets that open the portal to ancestral awareness and communication. We will also be offering some extra divine treats along the way. 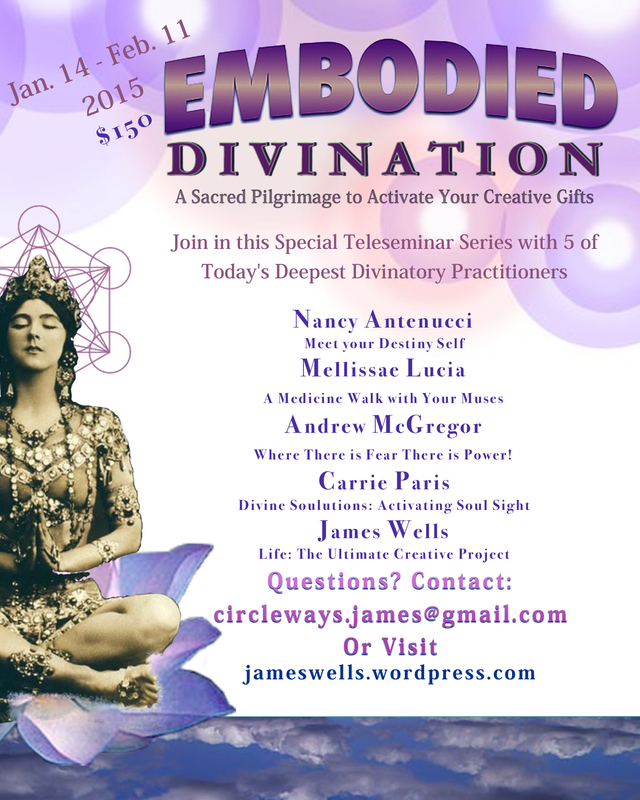 Until then, dear diviner, we look forward to having you join us for this very special series. My cup runneth over! 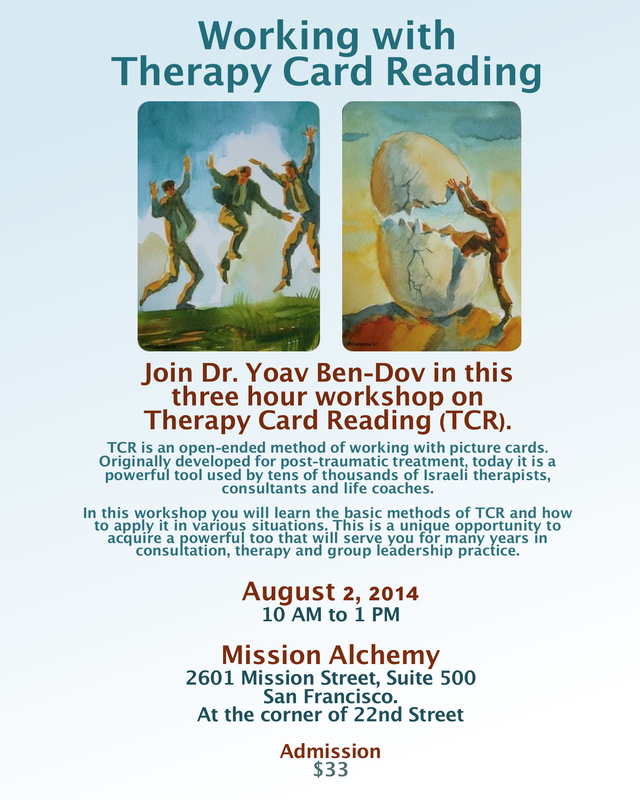 I am very excited to be able to co-teach with one of my favorite diviners, Dr. Yoav Ben-Dov. Yoav will be visiting from Israel to share his expertise and unique insights on Tarot, Therapy Card Reading, and so much more. There will be two opportunities for you to learn Yoav’s divining techniques that many in the tarot community are talking about. Check out the following fliers for a rare chance to meet Yoav and divine in a new light. Feel free to share this information with your community. We would love to see you! TCR is not limited to a particular deck. 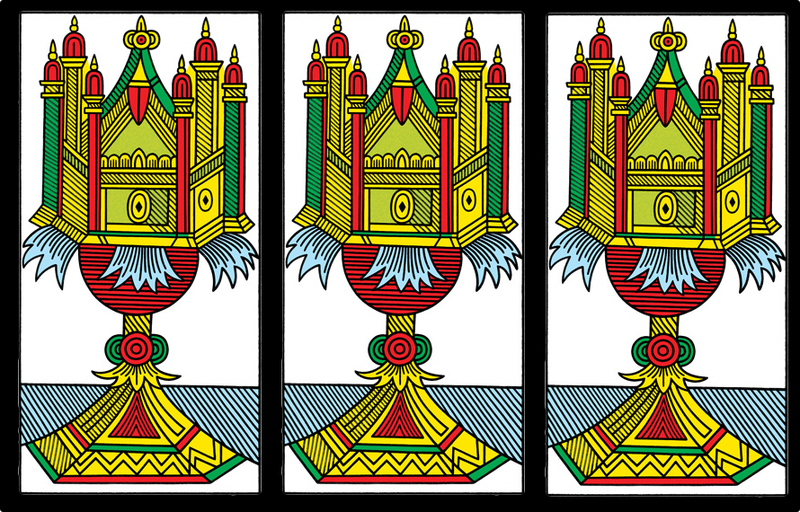 It can be used with Tarot cards, oracle cards, or even personal picture sets. It is amazingly efficient in bringing out subconscious contents, expressing hidden desires and strengths, tapping unknown potentials and suggesting creative solutions to specific problems. TCR can be used in a personal encounter or in a group. 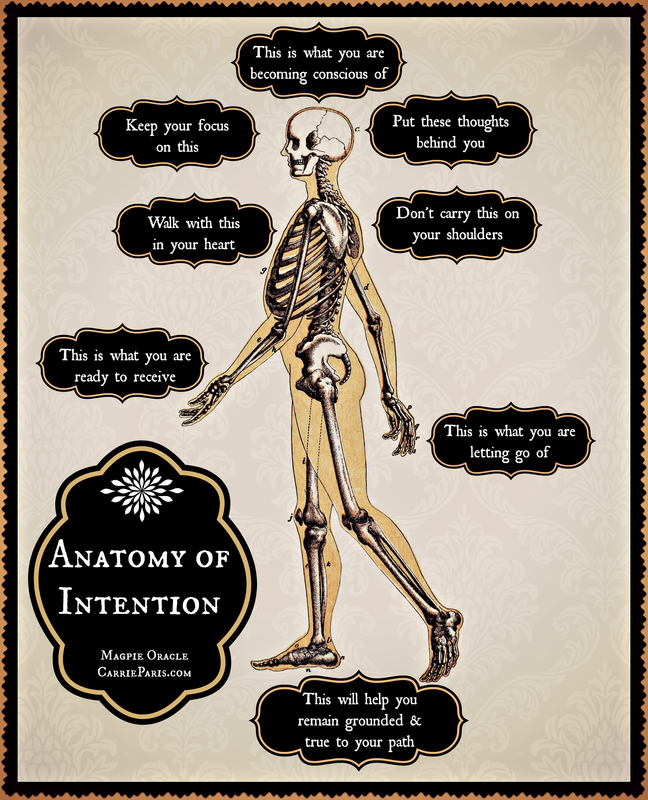 It is especially relevant in a professional or organizational setting, where Tarot cards may be “too mystical”. 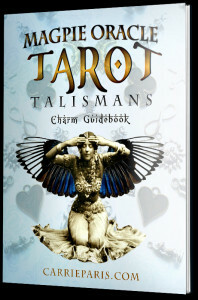 Thus, its target audience is much wider than the Tarot. For more details on how TCR works visit here. 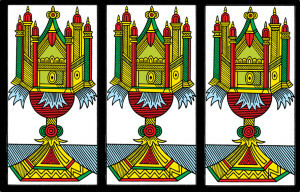 This is your opportunity to join in a unique collaboration between two leading tarot figures, Dr. Yoav Ben-Dov (Israel) and Carrie Paris (Europe/USA) as we explore the full potential of authentic tarot illustrations beautifully featured in Yoav’s CBD Tarot de Marseille, a faithful reproduction of the traditional deck and pinnacle of 4 centuries of collective work by Europe’s finest tarot masters. In addition will be the launch of Carrie’s Magpie Oracle II: The Keepsake Box, a new collection oracle for charm casting and divining outside of the box. In this workshop we will learn to unleash the potential of the cards by moving away from fixed interpretations and directly experience the magic housed in tarot illustrations. Discover how collection oracles lead us out of assigned esoteric systems and open the door to spontaneity, the home of authentic divining . Learn the powerful technique of “card reflections”, a way to encounter the cards as personal guides that take you forward in life. All levels encouraged. A limited supply of the CBD Tarot de Marseille and Magpie Oracle II will be available. Yoav Ben-Dov studied physics and philosophy of science in Tel Aviv University, authored the first tarot book in Hebrew, and did his doctorate in Paris-13 University on the philosophy of quantum mechanics. Following two decades of teaching physics and philosophy in several schools and universities, Yoav restored and published CBD Tarot de Marseille, and recently published the book, Tarot- The Open Reading. Carrie Paris was in the first class to receive a Masters in the Cultural Study of Cosmology and Divination from the University of Kent, UK. 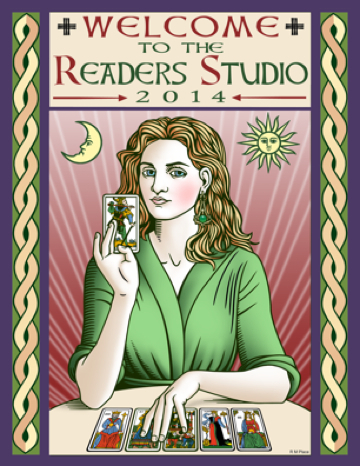 She is co-creator of the award winning Lenormand Revolution deck and iOS app and Lenormand Loadestones. Her fascination with collection oracles inspired the creation of the Magpie Oracle, a way of casting shiny objects for a bright future. Carrie’s Magpie Oracle II: The Keepsake Box, inspires diviners of all levels to enter accurate readings through the door of divine play. 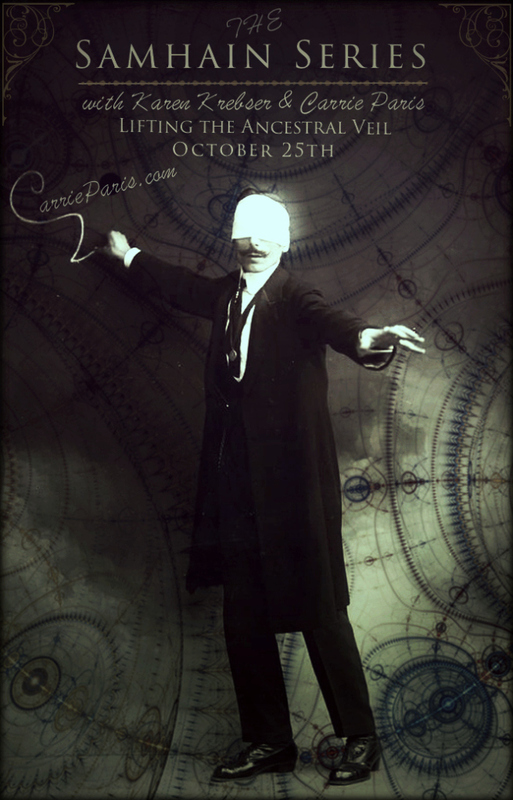 The Magpie Oracle & Lenormand Revolution are Flying to Europe & the Beautiful Southwest! I’m thrilled to announce that the Magpie Oracle and Lenormand Revolution are going on a Southwest and European divination tour this month! First stop, Berlin where both oracles will be featured live on the esoteric shopping network, AstroTV. From there we travel to London for the 10th anniversary of the UK Tarot Conference where I’ll present two classes on the Lenormand Revolution & Magpie Oracle, and Becoming a Card Curator. After Europe I am excited to reunite with many friends in Dallas where I’ll present at TarotCon 2013! 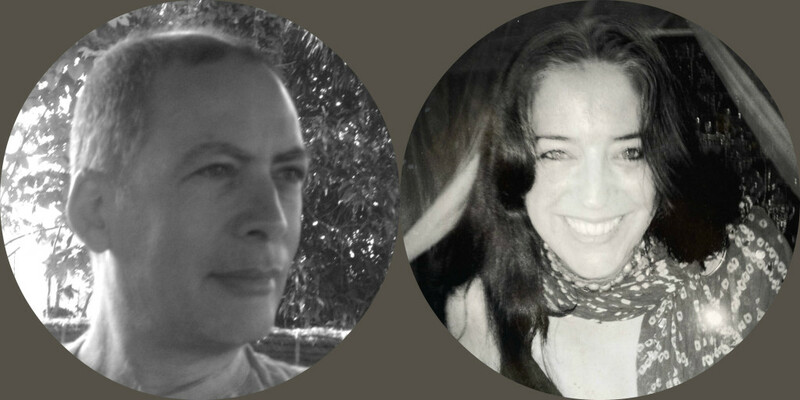 After Dallas, the organizers of TarotCon and Tarot Profesionals, Marcus Katz and Tali Goodwin, will join me in Santa Fe for two evenings of Tarot & Oracle Casting held at the lovely yoga studio, Body. The final leg of the journey will be the topper on the diviner’s cake. 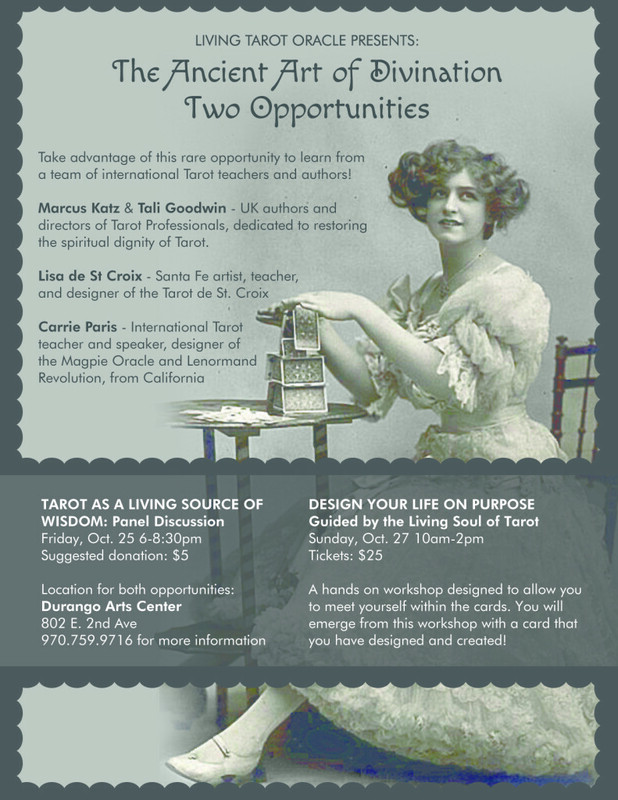 Lisa de St Croix, Marcus Katz, Tali Goodwin and I will be joining in on one of my favorite events in Durango Colorado, the Living Tarot Oracle of Southwest Colorado, organized by the Sinister Sisters, Tami Graham and Juila Hesse. We will be offering a Friday night panel discussion that recognizes tarot as a living source of wisdom. 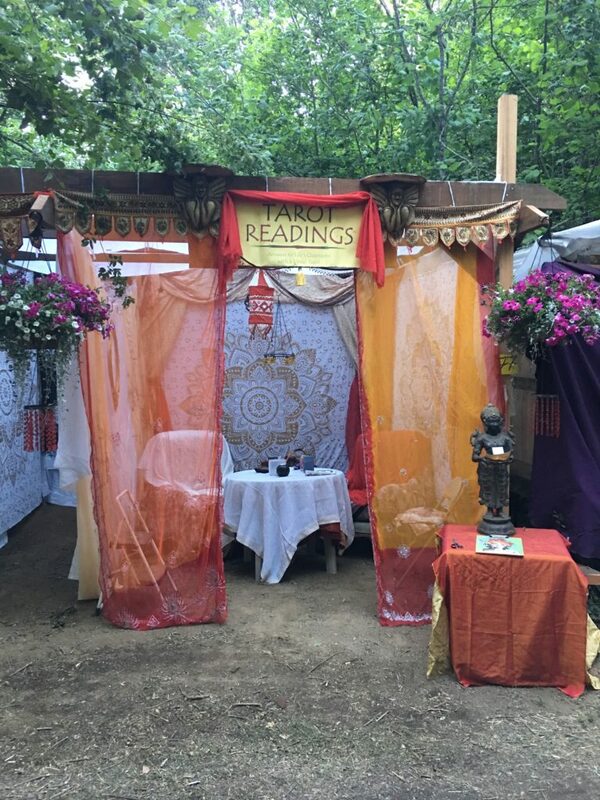 This will be followed by the Living Tarot Oracle event held both Saturday and Sunday evenings where 22 actors colorfully bring to life the 22 cards of the major arcana and act out your reading. There is nothing like it! And if that isn’t enough, Lisa, Marcus, Tali and I will be offering a workshop on the Ancient Art of Divining in Durango on Sunday, Oct. 27th from 10:00-2:00. Come join in on the fun and learn to navigate your future on purpose. All levels are encouraged. I look forward to seeing many of you along the way! 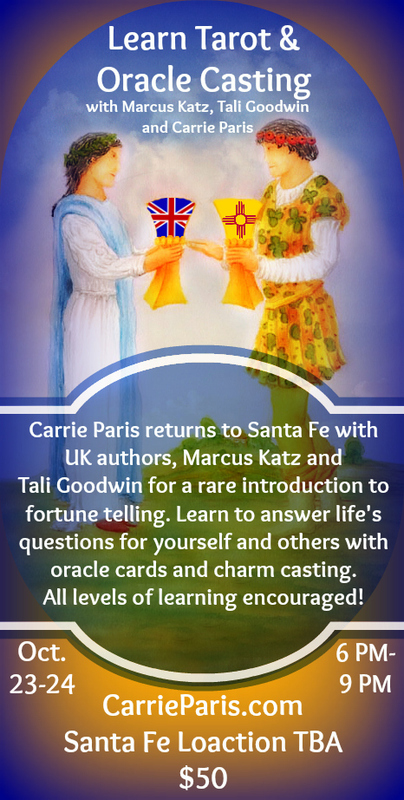 I am returning to the Land of Enchantment, my home away from home, Santa Fe, for two nights with two special guests from the UK; Marcus Katz and Tali Goodwin, founders of Tarot Professionals and authors of numerous books on Tarot, Lenormand and more. Please join us for this rare visit and tap into the fascinating world of casting traditions. Learn how to cast charms with my latest product the Magpie Oracle. Discover how to chart your future through Lenormand card “link” readings, and let us show you how to create customized casting calendars that activate peace, gratitude and fulfillment. To RSVP, visit my Meetup site. Looking forward to meeting and reuniting with many of you there! One of my favorite events. Come and receive a powerful reading from a host of living tarot cards! Brought to you by the Sinister Sister, Julia Hesse and Tami Ghram, who never disappoint! Join us in the Land of Enchantment as we near Dia de los Muertos an honor the spirit of tarot. Speakers TBA. Explore the latest discoveries in tarot from a multitude of international speakers brought to you by Marcus Katz and Tali Goodwin! 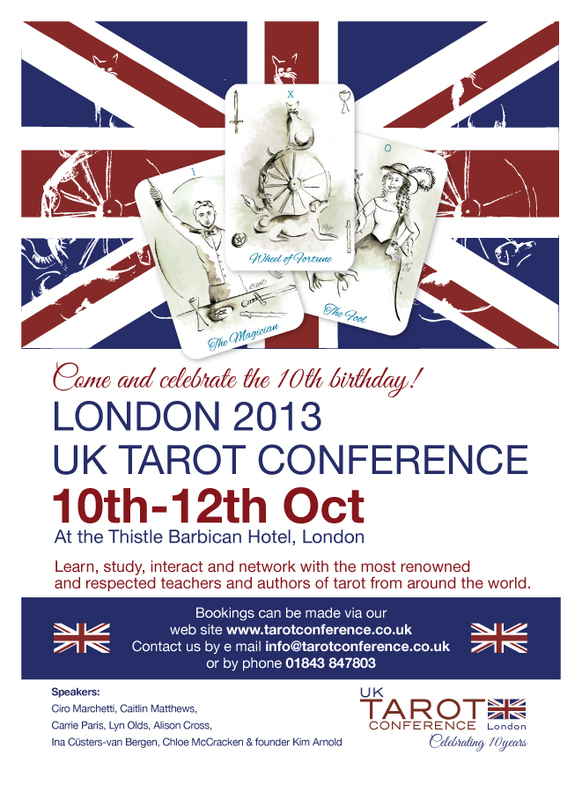 The 10th Anniversary of the UK Tarot Conference! 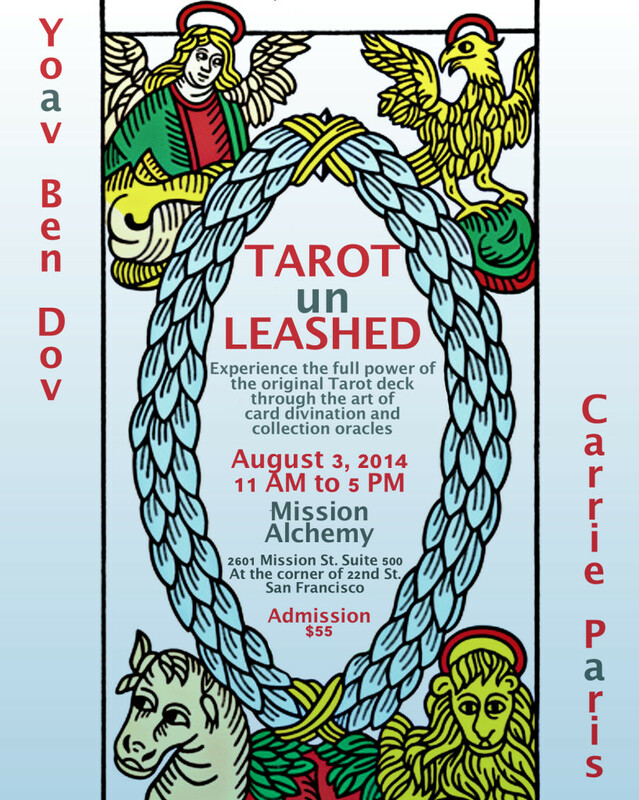 I’ll be presenting the Lenormand Revolution at this wonderful event. Come to London and join the revolution!